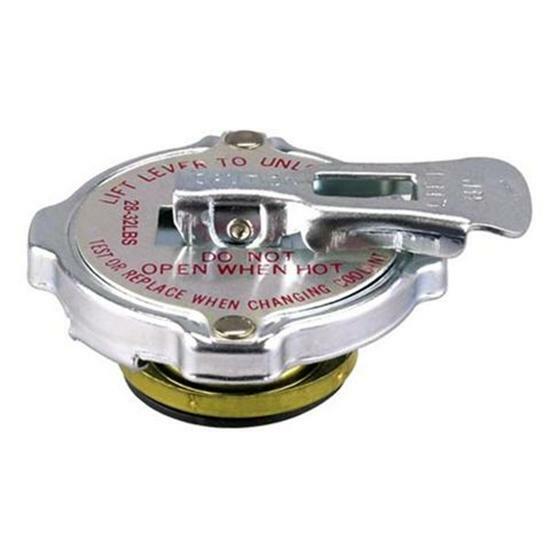 This safety lock cap for radiators is designed for high pressure, 28-32 lbs. Provision to release pressure, taking the danger away from checking your race high pressure system. High pressure cap raises boiling point of water.